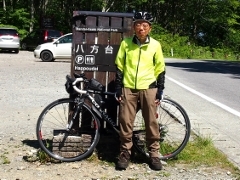 This morning I left Naraha Cycling Terminal and headed to Kamishigeoka Pond in the northern outskirt of Naraha Town. The pond was now under decontamination work cleaning mud on the bottom of the pond. 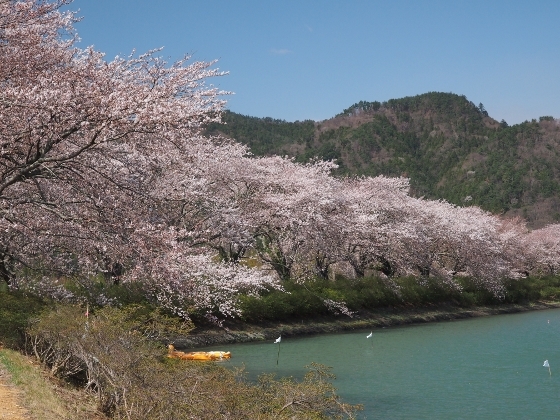 Still it showed beautiful scenery with a number of cherry trees blooming along the bank as shown above. On the way to Kamishigeoka Pond, I found a large complex of brand new houses near JR Tatsuta Sta. as shown above. 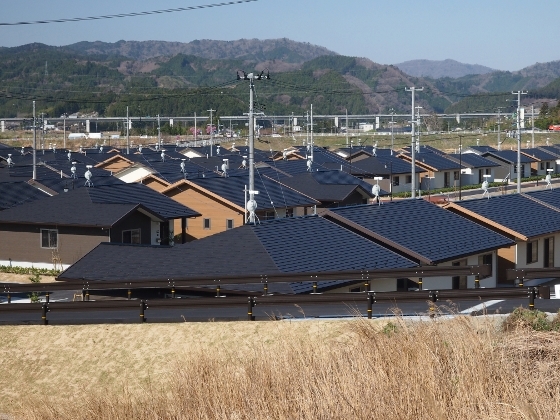 This was public housing complex for those affected by the earthquake and tsunami disasters. Some houses were already inhabited and others were still under construction. I happened to talk with one of the residents. Then I pedaled toward JR Tomioka Station. 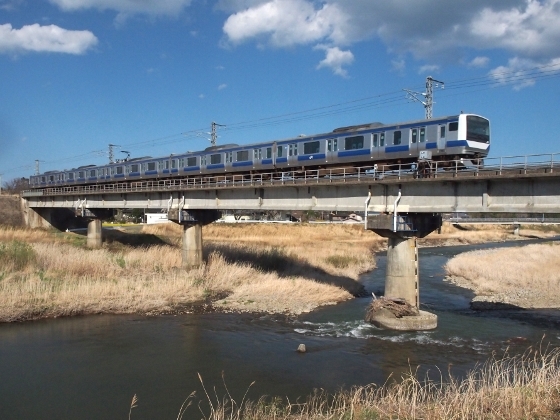 The station suffered a devastating damage by the tsunami six years ago. The station is still out of service but is scheduled to resume operation within this year. 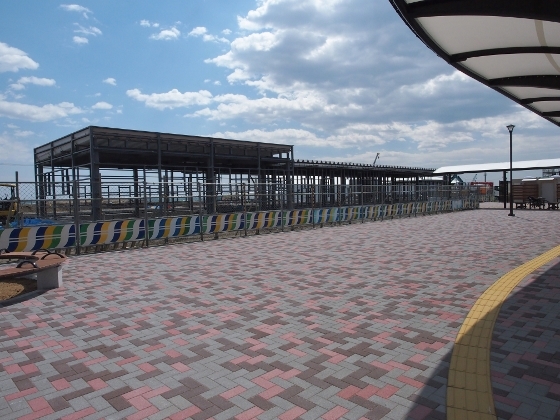 As you see in the photo above, construction of the new station structure was now on the way. 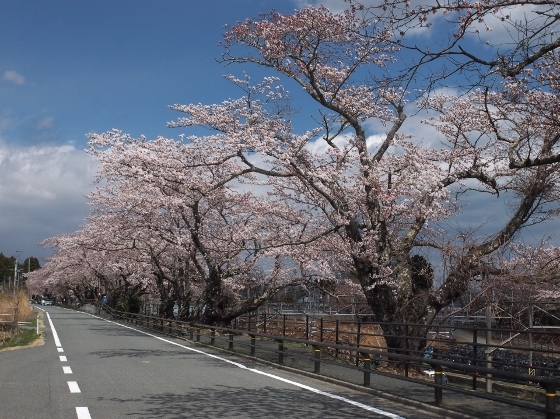 There is a popular cherry blossom site in the northern part of Tomioka Town. This is called Yonomori cherry site and today all the trees were in full bloom as shown above. Many pedestrians and cars went slowly along the street while I was there. 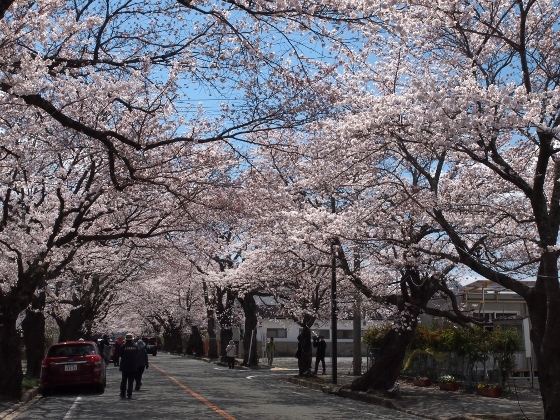 Close to the Yonomori cherry street, there was another line of cherry trees, also in full bloom as shown above. 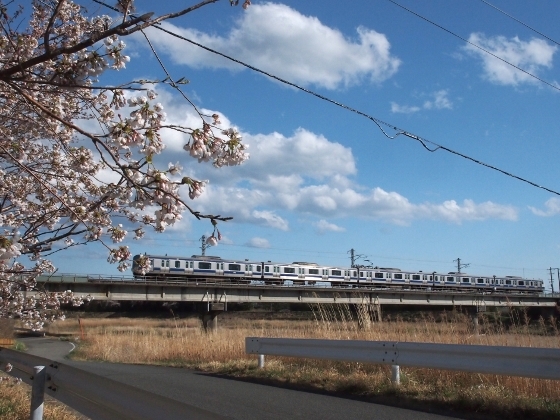 The line was along JR Joban line track near Yonomori Sta., where train operation is still two years away. 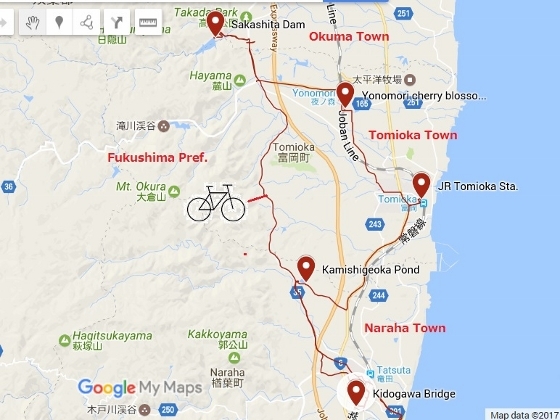 Next I headed toward Okawara district of Okuma Town which is located adjacent to Tomioka Town. Most area of Okuma Town is currently designated as difficult to return zone except for this district. Anyone can enter this area safely and temporary town office for recovery work is also located within this district. Today I visited Sakashita Dam in a mountainous area in the district. 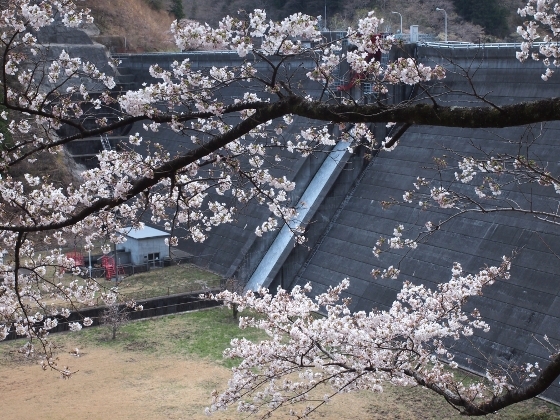 There were many cherry trees blooming surrounding the dam as shown above.